Traditional shirt in trueblue. 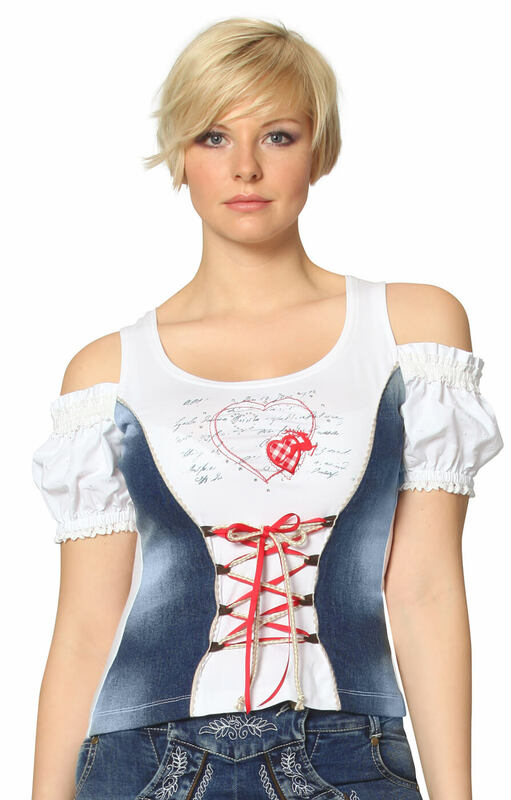 Inlaid denim between front darts creates the impression of a corset, and the red ribbon and hemp twine meandering between leather corset eyes serve to strengthen the illusion. 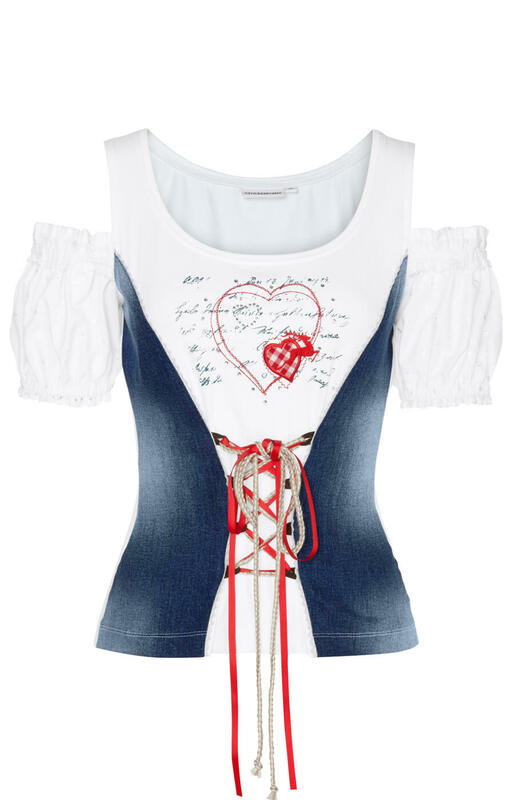 The denim seam at the bodice is trimmed with dainty white lace. On the chest, lovely heart-shaped stitching, embroidered deer and checkered heart appliqués are surrounded by sequins. Rhinestones set in a heart shape also adorn the central part of the chest. Faint vintage script is printed on the chest. 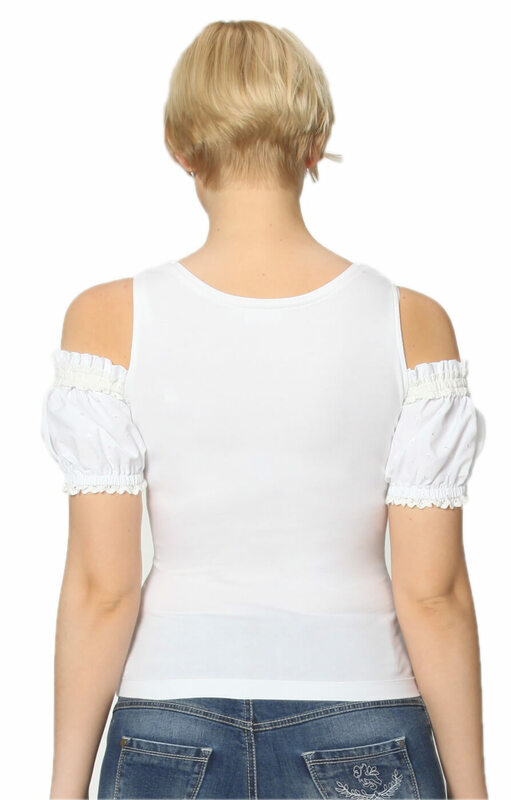 The cut-out sleeves are puffed and trimmed with white lace at both hems. 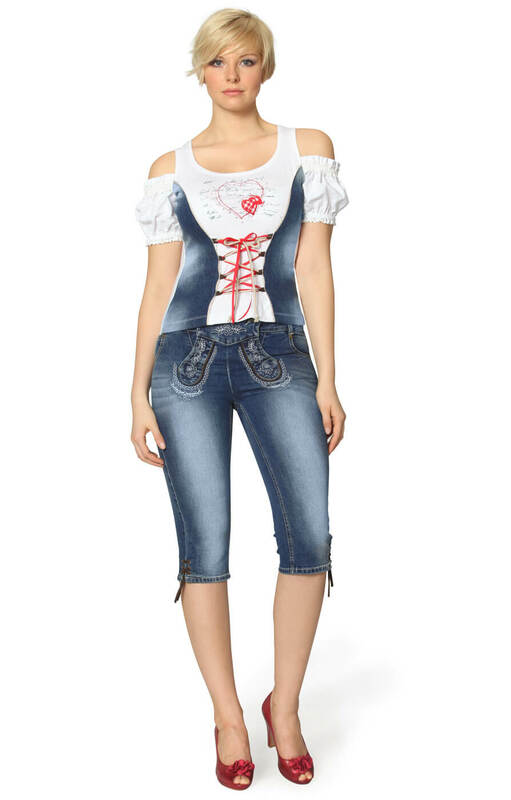 A simple pair of tracthen jeans, like the kneelength Momo, would complete this eye-catching ensemble. Super Qualität zu spitzen Preis. Ist etwas kleiner geschnitten. Habe sie eine Nummer größer bestellt und passt wie angegossen.